Five Star Cooling is first and foremost dedicated to helping our valued clients achieve the comfortable, reliable homes they deserve and for just that reason we're proud to offer the same expertise, professionalism, and integrity that homeowners have come to trust at our flagship location in several of the surrounding communities including Horn Lake, MS! 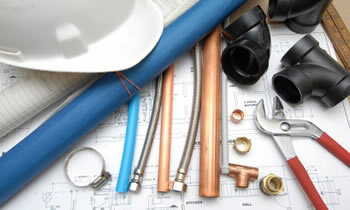 We're proud to have the opportunity to provide even more homeowners with the lasting, high quality results that have helped to set us apart from all other companies offering HVAC, plumbing, and AC repair in Horn Lake, MS and so have supplied your neighborhood specialists with the same specialty training, equipment, and set of core values which all Five Star Cooling contractors share. All of these service options are delivered with the efficiency, affordability, quality, and commitment to your personal satisfaction that help to ensure when you turn to Five Star Cooling you'll be making the right choice. To that end, we're happy to provide our value clients in Horn Lake with AC repairs, HVAC services, plumbing solutions, and dozens of other specialty service solutions with a completely free at-home consultation and estimate with the local Five Star Cooling contractors right in your neighborhood.